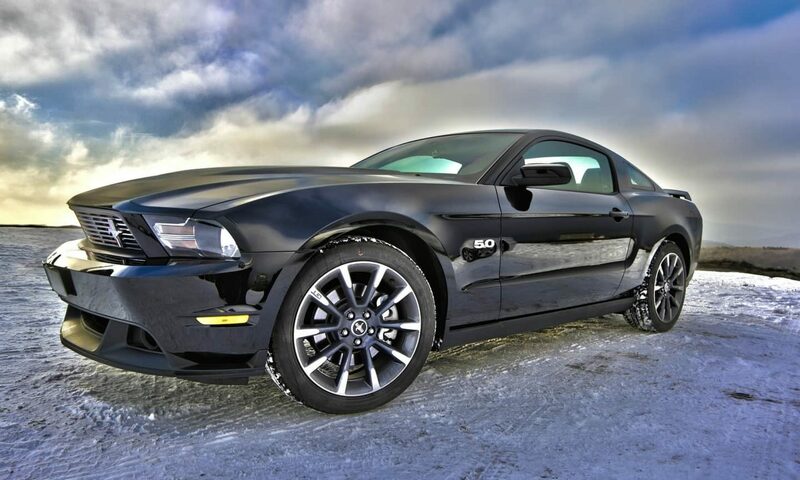 In this article we’ll be discussing and comparing the best car speakers for under $100. 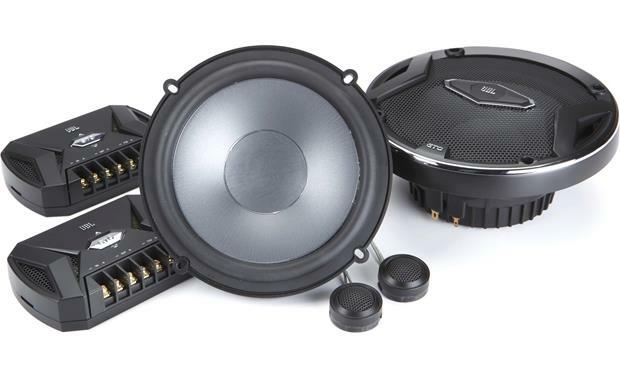 Car speakers are important as they heavily contribute to the overall sound within a car, and taking into account the fact that these speakers need to be installed, you want to pick the right ones first-time. That’s precisely why we’ve created an article on the more budget-range speakers, because we believe that buying cheap doesn’t necessarily mean you’re not getting good quality, it just means that you have to look around a little harder and compare the speaker systems at that price range. 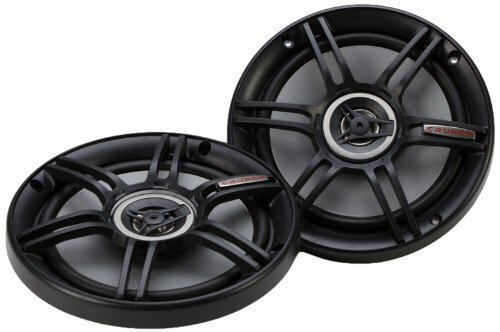 Due to the price range, we will predominantly be featuring coaxial speaker systems below $100, as finding component speaker systems within this price range is not usually possible because they are generally more expensive due to the manufacturing process and the fact they have multiple drivers as opposed to a single or double driver featured in coaxial systems. However, we have featured a few, and have clearly indicated which these are amongst the featured speaker systems. We also realise that alongside budget being a factor, the size of the speaker, alongside it’s wattage is also important; Hence we have displayed all of this information within the table below. All of the speakers have been arranged in order of most expensive (per speaker) to least expensive, bearing in mind that some of the speakers come in packs of 1, 2 and 4. 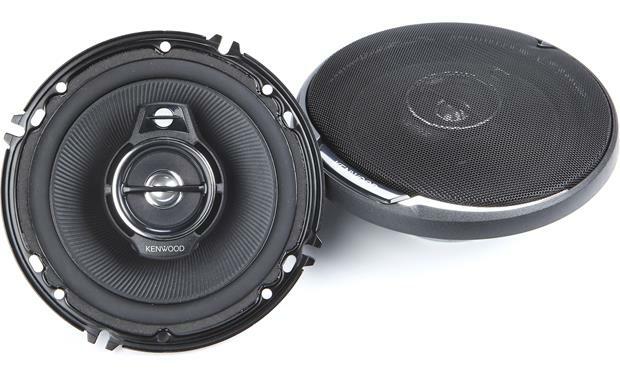 Without further ado, here are the top … best car speakers for under $100. 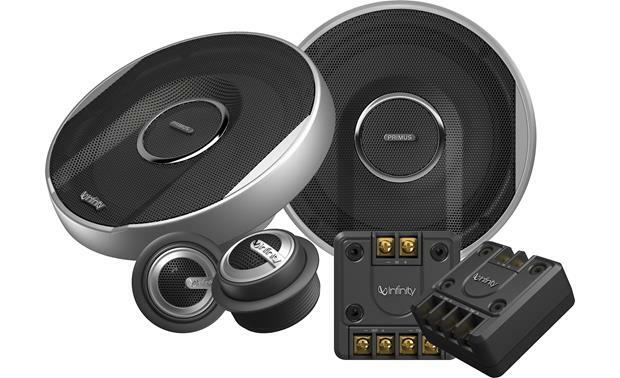 The Infinity PR6500CS loudspeaker system is the most expensive item within the list; Featuring Plus One™ Woofer cones and vented motor assemblies to help enhance low bass frequencies, alongside Edge-Driven textile dome tweeters to help amplify higher frequencies, the end result means that you get clarity within the mix and a high definition, high quality sound. The Alpine SPS-610 speaker is a 6.5 inch Coaxial speaker; Coming in a close second place for the most expensive speaker on our featured list, it has a poly-mic cone and butyl rubber surrounding, resulting in a cleaner overall sound. 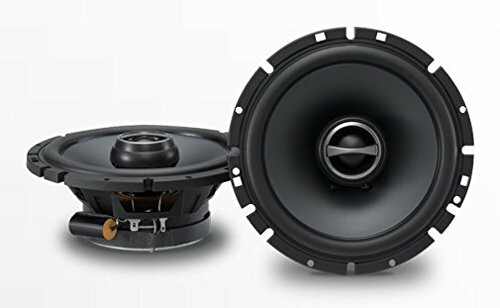 Alpine’s efficient design and engineering of this speaker means it can most likely easily integrate with your factory, or upgraded head unit. The JBL GTO609C set of 2 speakers come with Plus One™ speaker cones, offering more surface area which apparently provides better bass output and increased resonation. The speakers have fibreglass reinforced plastic frames, helping to resist warming, even when mounted on uneven surfaces, making these speakers a fine solution. 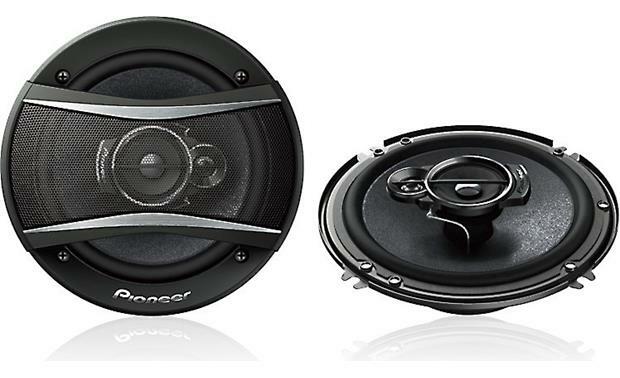 The Pioneer TSA1676R speaker is a solid speaker, designed to replace a vehicles factory installed speakers at an affordable price. The TSA range have high rigidity multilayer mica matrix cone structures, to allow for wider dispersion of lower/sub frequencies, whilst the new tweeter design has improved mic and high frequency clarity. A fantastic mid-range choice! 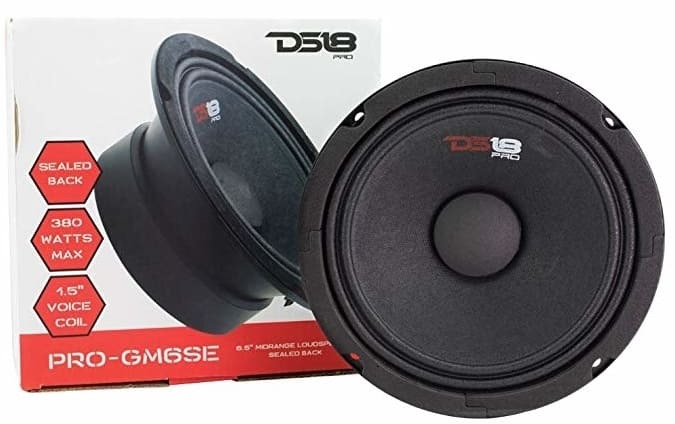 The DS18 PRO-GM6SE is a mid-range budget speaker. It has a more limited frequency response in comparison to other speakers which are featured within this article, however, it has been heavily praised in reviews. The company pride themselves in having optimised the mid-range driver, since this is the most significant part of the audible spectrum, and whilst this cannot deliver sub-bass frequencies, it’s a decent speaker. The Kenwood KRC-1695PS speaker is in their performance series; These speakers are designed to provide optimum quality sound quality on all frequency spectrums, providing crisp highs and clean lows. With a water resistant cone with a radical rib pattern, it’s strong and able to deliver lower frequencies with ease. 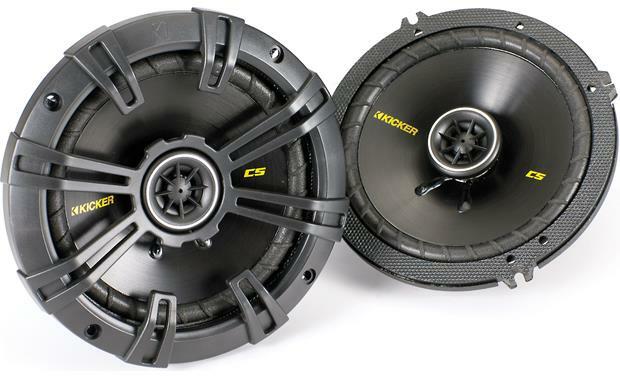 The Kicker 40CS654 coaxial speakers are fantastic for those sub-bass frequencies, with a low frequency range of 40hz. Delivering what can be cited from reviews as a ‘crystal clear’ sound, this pair of speakers are a perfect solution for those on a budget. 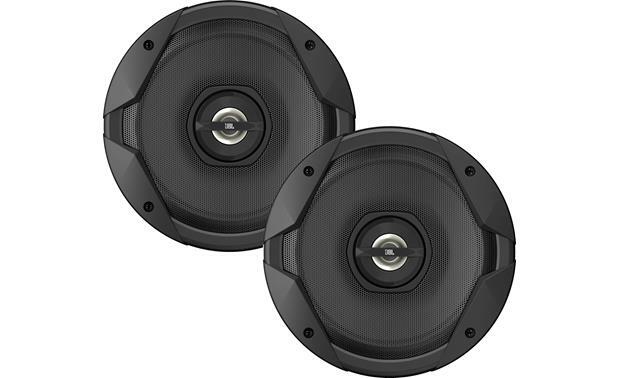 The Crunch CS65CXS speaker has impact resistant (Neo Mylar) dome tweeters, and moisture resistant rubber surroundings to prevent moisture from being an issue, whilst improving mid and bass resonation. The JBL GT7-6 comes with Plus One™ technology, which are polypropylene cones which provide more cone surface area, resulting in better low frequency output and clearer mids and high frequencies. JBL constantly listen to their speakers against their competition, and against their other speakers in different series, so you have the confidence in knowing that they’re always improving their products. The Pyle PLMR605W speaker set is ideal for someone very wary of speaker water damage, why? 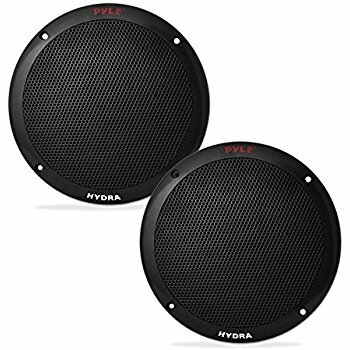 Well these speakers are completely waterproof and can withstand heavy splashes and outdoor conditions. Not only that, but the reviews of this pair’s sound quality are also great.